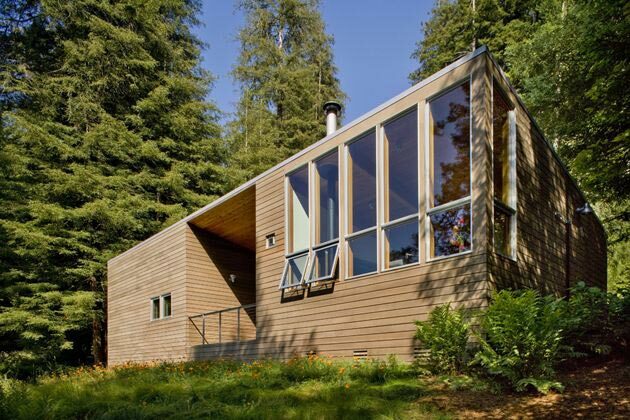 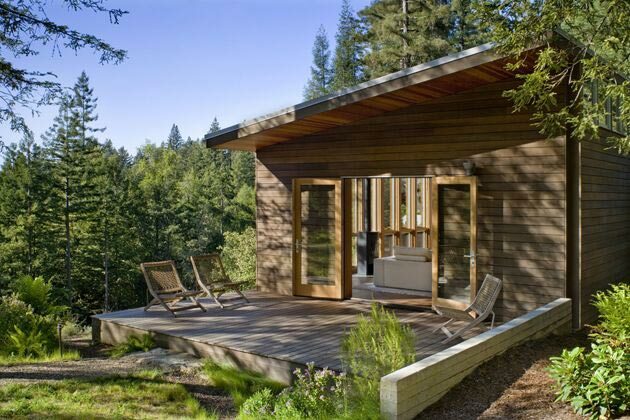 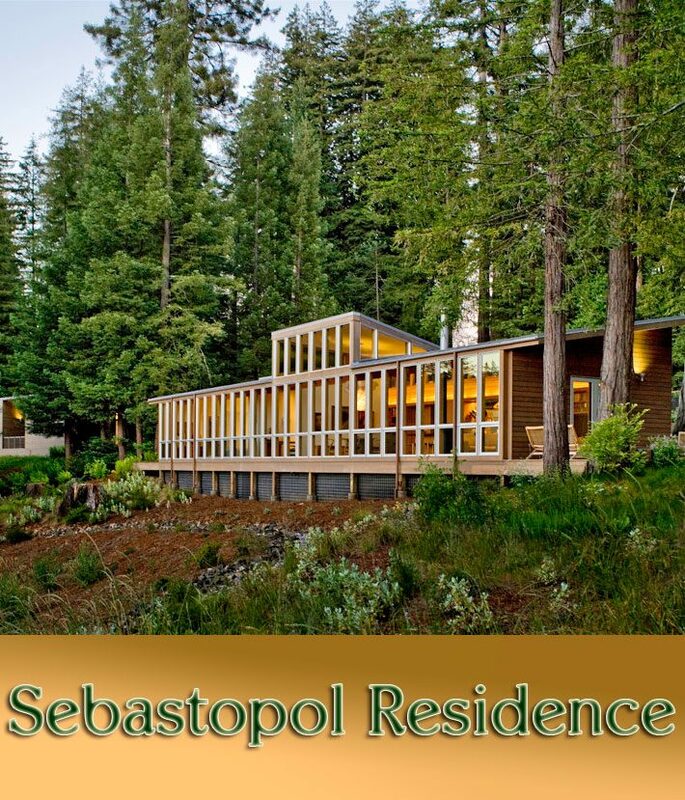 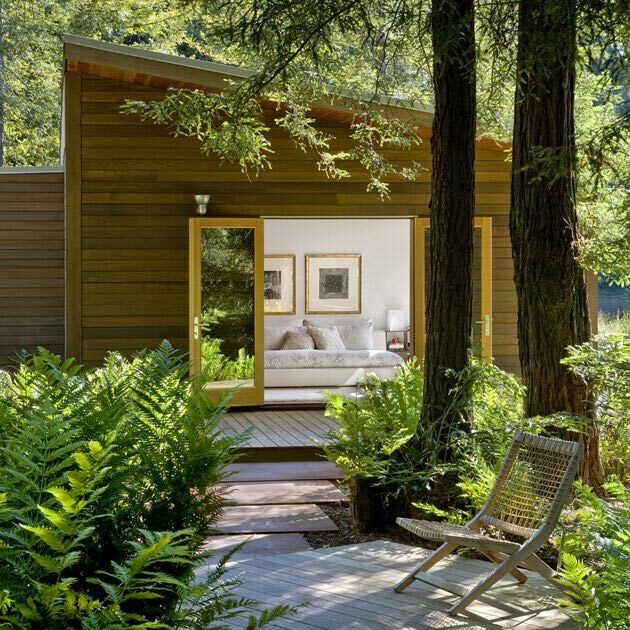 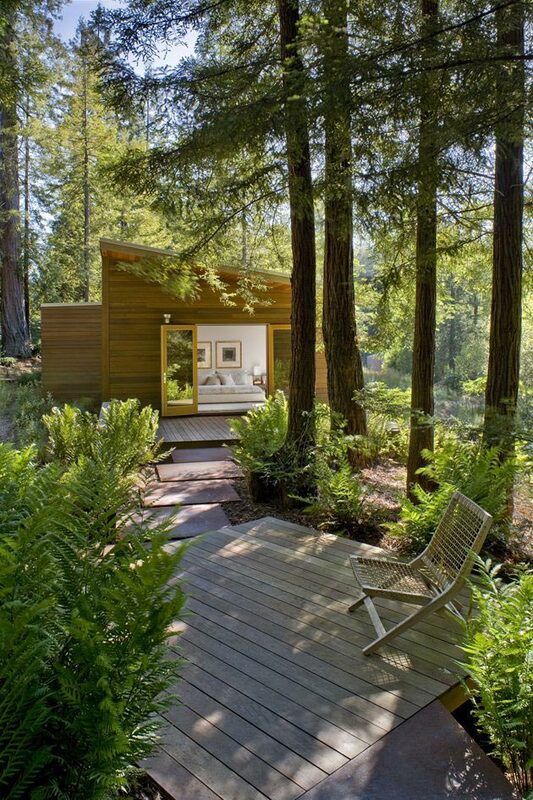 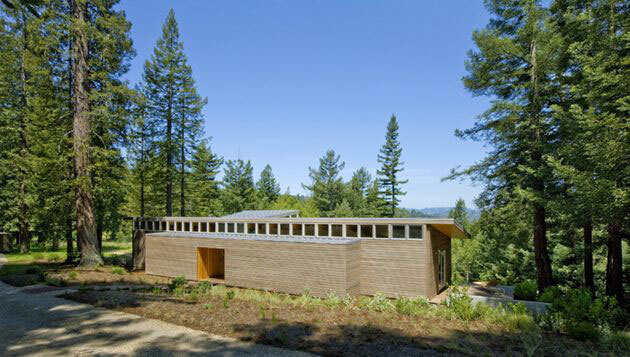 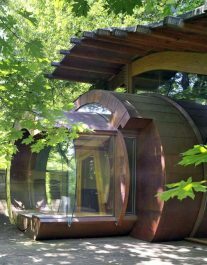 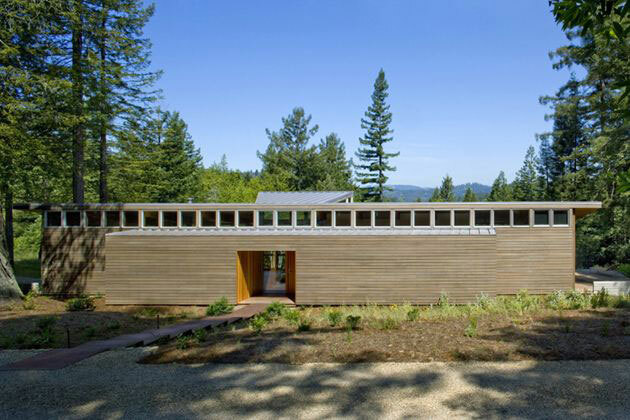 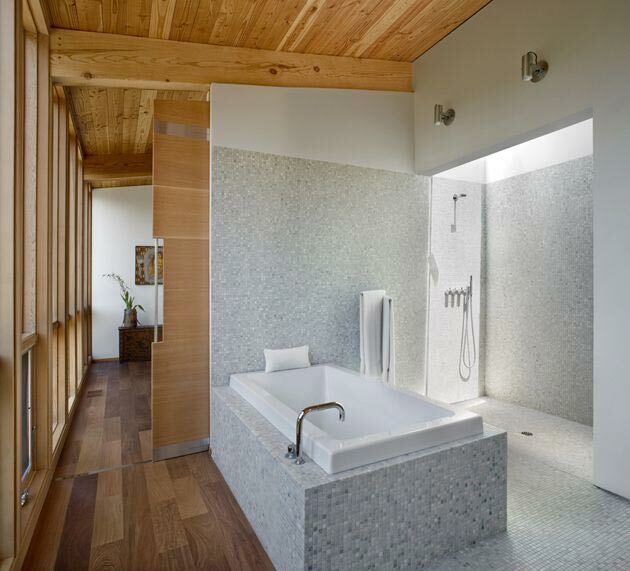 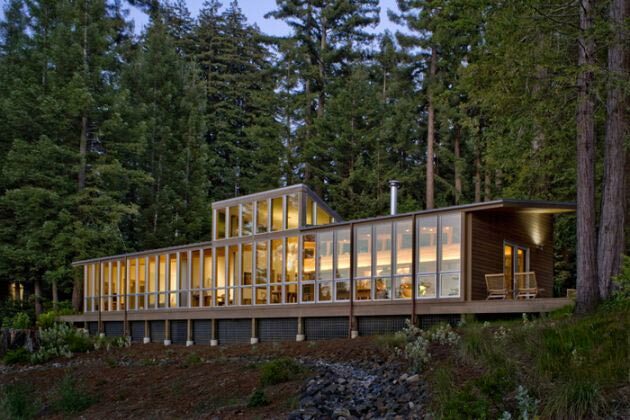 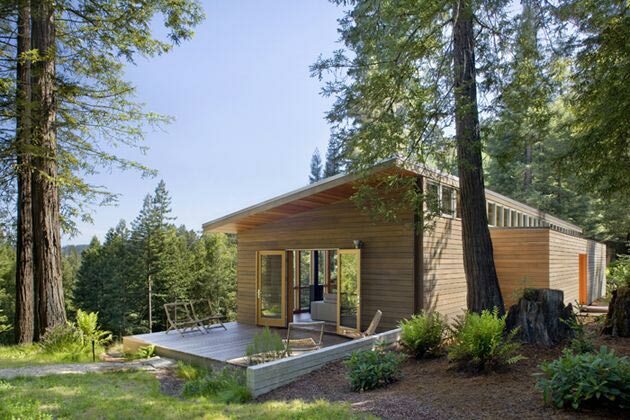 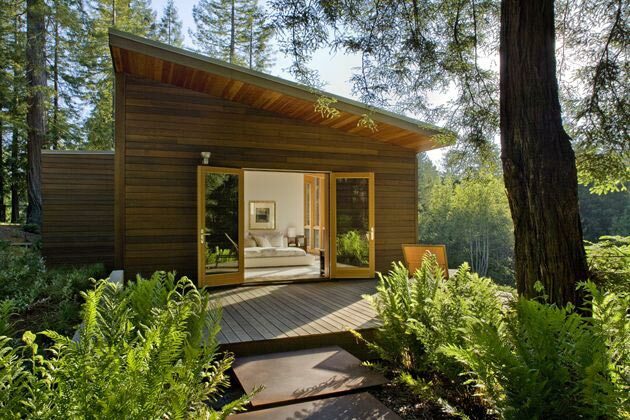 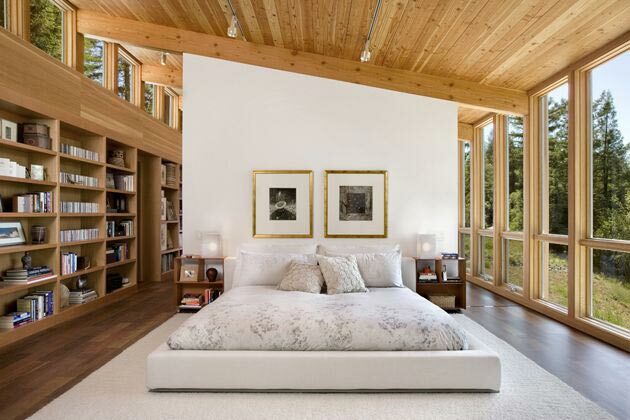 Turnbull Griffin Haesloop Architects have designed a home in Sebastopol, California. 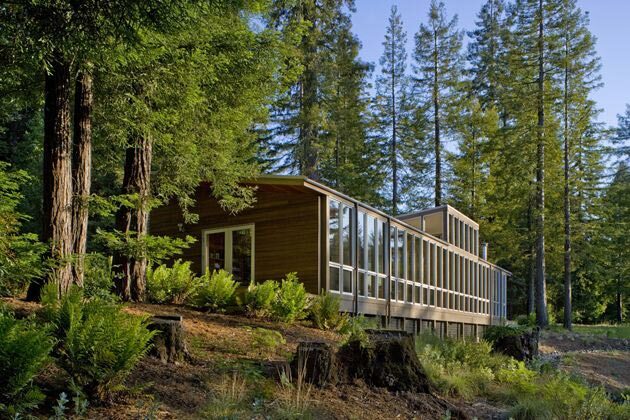 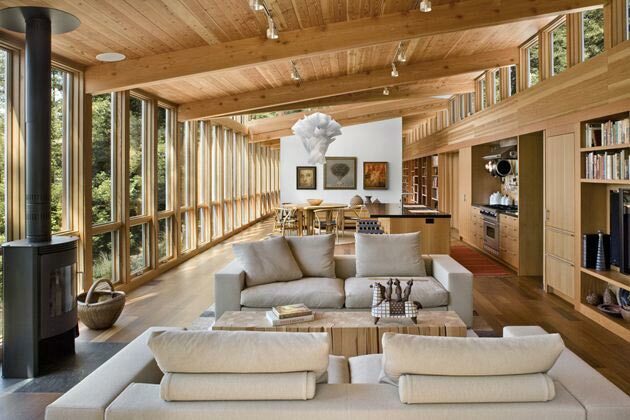 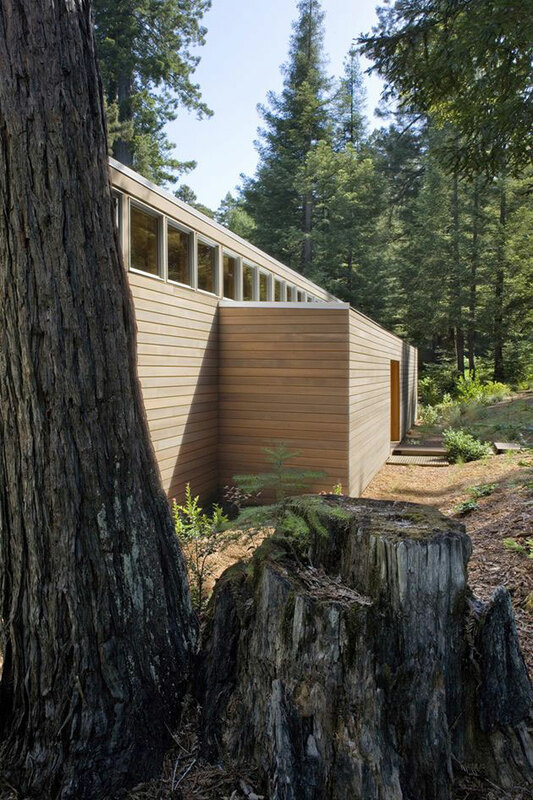 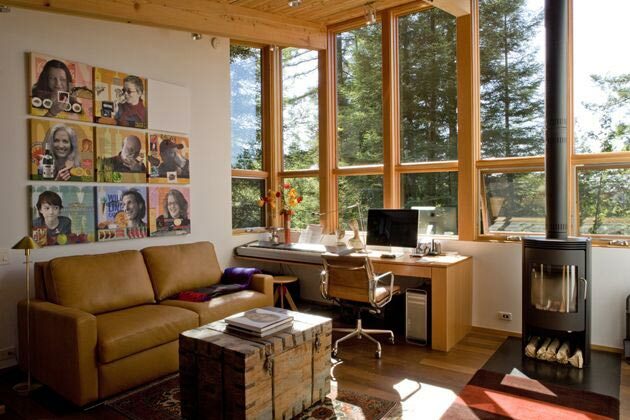 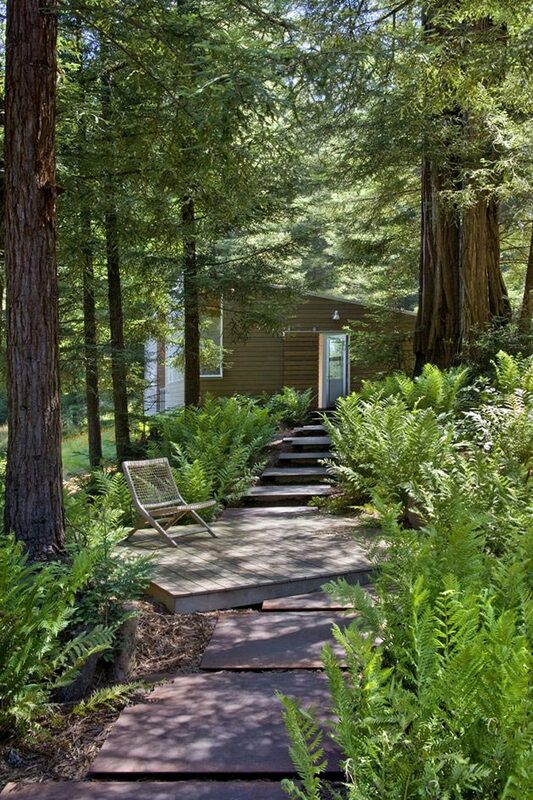 Designed for two graphic designers, this house bridges between two stands of redwood trees, with the northern window wall facing out to the expansive view. 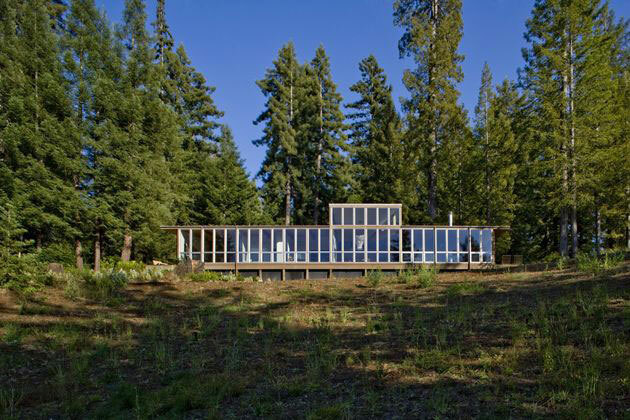 Decks located at either end of the house open onto paths that lead to the pool on one side and the studio/garage on the other. 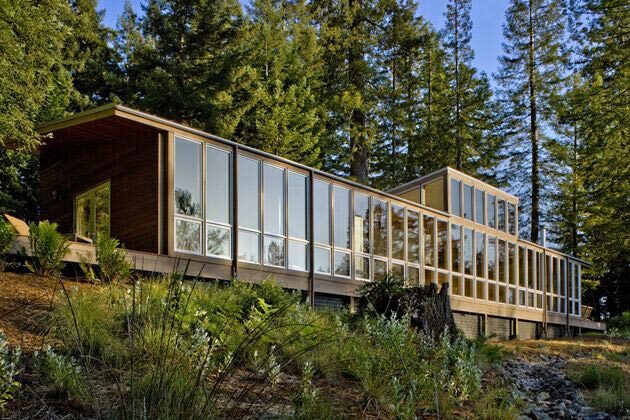 The southern elevation screens the interior from the driveway and road above, but allows southern light in through the clerestory windows. 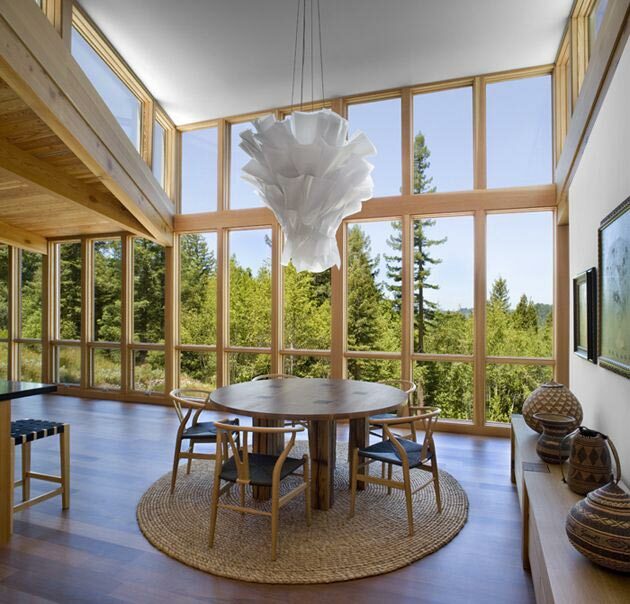 As you enter, a dormer rises up over the dining area to frame the view. 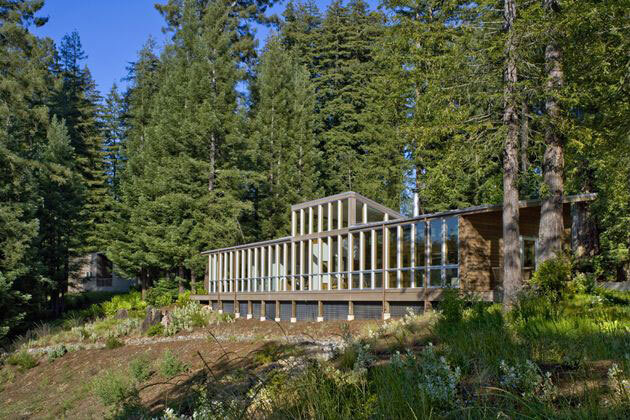 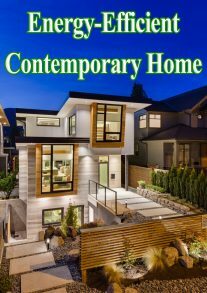 The main house is modest in size, only 1,700 square feet, but feels spacious due to an open floor plan. 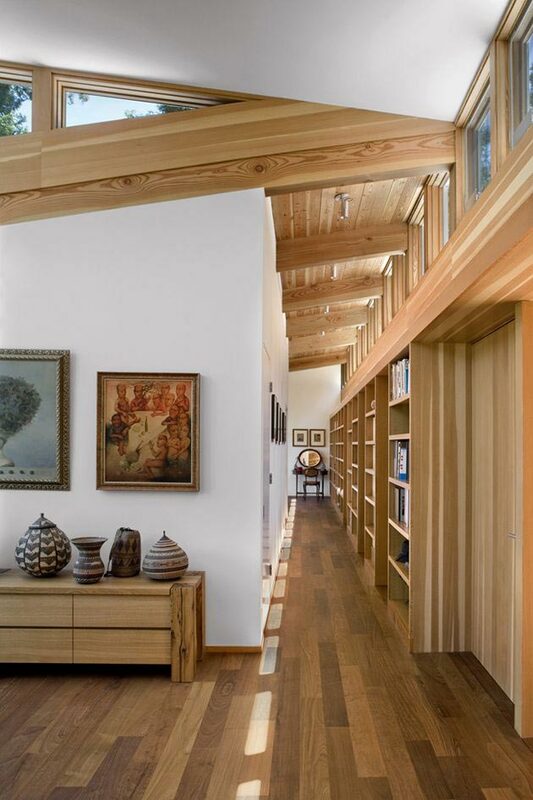 The clients’ wonderful art objects are housed in the long southern wall bookcase. 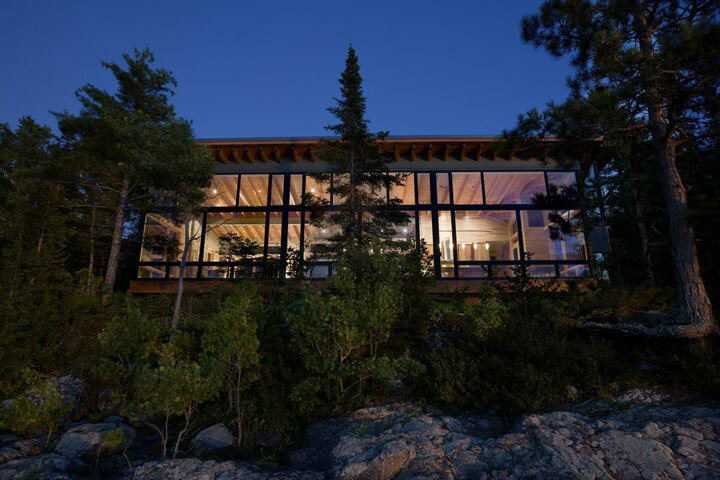 The exterior is clad in cedar siding with a metal roof and the interior features a Douglas fir ceiling and decking, sheetrock walls and Ipe flooring. 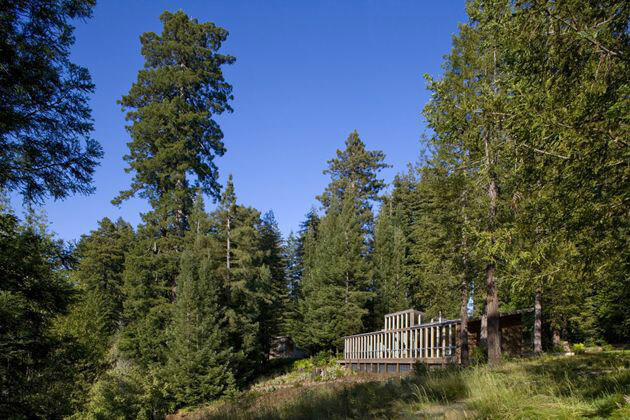 Landscape Architect: Jennifer Brooke, Landscape Office, Ltd.